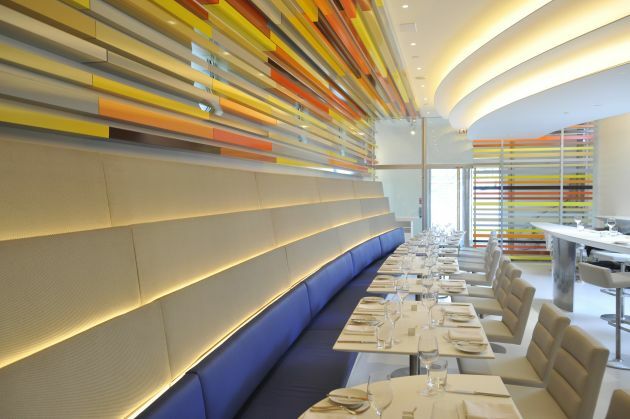 In celebration of the 50th anniversary of the Guggenheim Museum’s Frank Lloyd Wright-designed building, New York City’s newest restaurant The Wright has opened to the public. 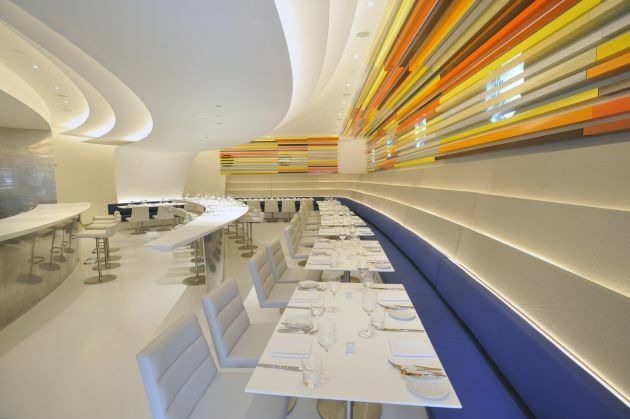 Named in honor of Frank Lloyd Wright, the Upper East Side destination is located in a modern space designed by architect Andre Kikoski. 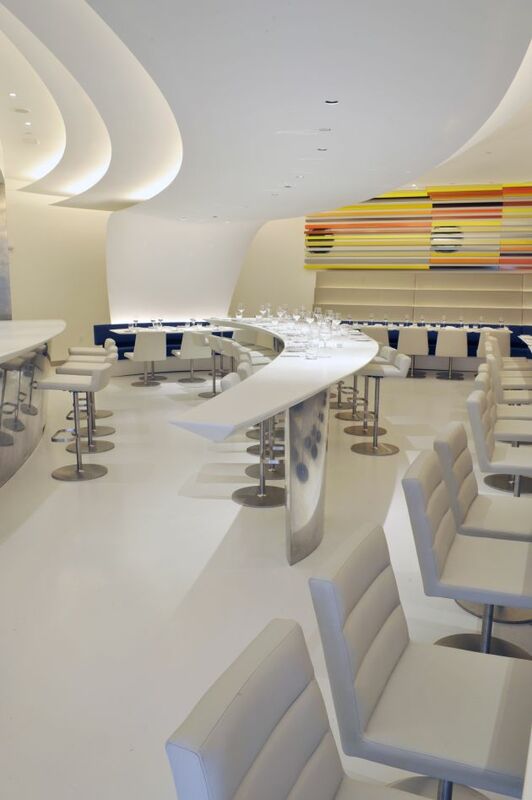 The 1,600 square-foot space features: a curvilinear wall of walnut layered with illuminated fiber-optics; a bar clad in a shimmering skin of innovative custom metalwork and topped in seamless white Corian; a sweeping banquette with vivid blue leather seating backed by illuminated planes of woven grey texture; and a layered ceiling canopy of taut white membrane. 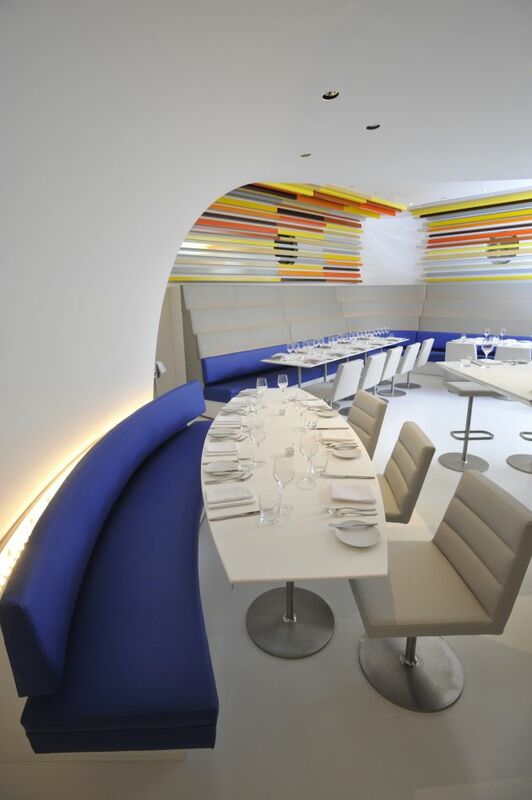 Andre Kikoski Architect’s design philosophy for The Wright engages the heightened sense of procession that is essential to the experience of the Guggenheim – and the dynamic perception of art that it fosters. Surfaces and textures are animated by movement, creating an ever-changing fluid aesthetic that is an essential part of the design.